Here is a delicious egg-ceptional recipe that contains two of the top super foods for super health! Eggs and avocados are two of nature’s top sources of healthy fats. I make this for breakfast (it makes a great lunch as well) because it combines the checklist of nutrition: protein, healthy fat, fiber and complex carbs. to sail through the morning with energy and without hunger and cravings. The recipe below will show you how to combine these super healthy foods to create a dish you will love! Cut the avocado in half and take out the pit and a little bit of the surrounding avocado to enlarge the pit area. Use the avocado you removed for another dish such as a salad. Create a bowl from the aluminum foil and place the avocado in it. Crack the egg into the pit of the avocado. It’s normal for the egg to over-flow onto the top of the avocado. Season to taste with sea salt and pepper if desired. Bake for 15 min. until desired texture. 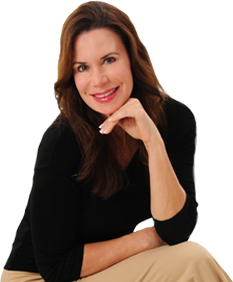 © 2013 DLS HealthWorks, Inc.
Lori Shemek, PhD is the best-selling author of Fire-Up Your Fat Burn!